Highland Creek Subdivision Tour Indian land, SC Homes for Sale from Turner Real Estate Group on Vimeo. 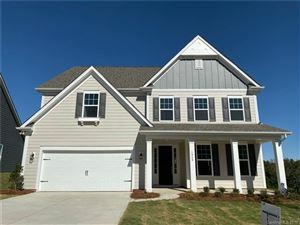 Highland Creek is new neighborhood in Indian Land, SC off Hwy 521 on Shelly-Mullis Rd. directly across from Ashley-Glen Way. The community is less than a mile from the North Carolina State line. Highland Creek is a close knit collection of homes as lots normally a quarter of an acre which is a blessing for those that choose to spend their time without the excessive yardwork. There are many 1 and 2 story offerings. Most homes are vinyl sided with brick trimmings and all have 2 car garages. Many houses have a beautiful wooded backdrop, and sidewalks line the streets perfect for taking walks safely with your family and pets. Highland Creek is located in the Lancaster County School Disctrict and residents attend Indian Land Elementary, Indian Land Middle School, and Indian land High School. Which are all located within a minute of each other. Highland Creek is located in a high growth area of Indian Land. Local dining, shopping, and all genres of business are abundant in the area. If you are looking for a new neighborhood with a smaller lots with less yardwork, with quick access to shopping dining, and schools then please call us to check out Highland Creek in person.